Since 2005, Keytorc Software Testing Services has been assisting its clients to manage their critical software testing processes to reduce the total cost of producing high-quality systems. The company has also horizontal expertise in diverse domains as; banking, insurance, telecommunications, defense, IT-High-Tech, retail, and e-commerce. Besides being the regional leading testing services provider, Keytorc enhances its business in Europe combining technological proficiency with competitive service rates. This year, Keytorc plans to expand by opening its 4th branch in London. After the establishment of its R&D center in the largest technology campus in Istanbul, Keytorc has started providing significant improvements and innovations in software testing area, especially in continuous testing, test automation, performance testing and static code analysis fields. From a definitive view, it becomes more crucial to support agility with solid engineering practices. Shorter iterations and pressure of delivering a viable product for each iteration make quality and testing activities more important. At this very point, Continuous Testing makes it enable to manage end-to-end software lifecycle integration reducing cycle-time. 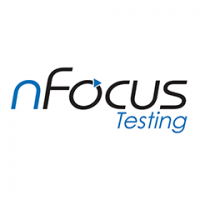 Keytorc provides top-notch Continuous Testing services disrupting existing practices. Keytorc also focuses on “Code Quality and Analysis” services leverage high-quality software development activities and ensure technically maturity. By this way, it becomes possible to figure out not only defects but also potentially problematic areas contributing Technical Debt. Besides, Keytorc has valuable achievements in reputable international testing competitions and events. 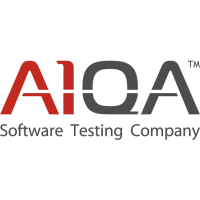 The company holds, attends and supports prestigious testing events and conferences in national and international scale. Keytorc is the organizer of the first international online and offline combined software test automation hackathon: Test Hackathon. The event has an international Judging Panel in which there exist experts from various countries and domains and the contest offers many benefits and prizes to test automation people from all around the world.